Star Dairy has been selling dairy nutrition, soil fertility products and consulting to predominantly Amish farmers since 1994. Holganix Agriculture has been his first compost-type or bionutritional product he’s carried because traditional compost and compost teas haven’t been economical on a large scale. “I’ve always been interested in biological products,” says Gilson when we asked why he decided to give Holganix Agriculture a shot. Over all, Gilson’s clients on Holganix programs have seen an increase in plant vigor, yield, brix index and a reduction in disease. After using Holganix Agriculture for one year, Gilson’s clients have seen an 82% average increase in brix index (in % sucrose) in peas, sweet corn, raspberries, strawberries, tomato, watermelon and alfalfa. 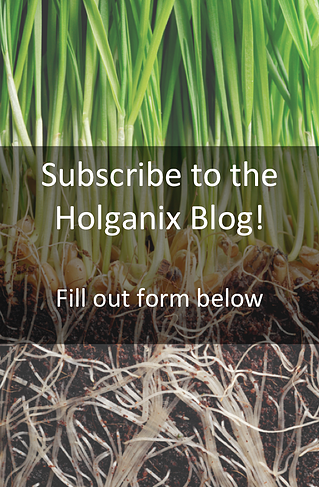 "[My customers] don't want to grow tomatoes without Holganix Agriculture!" Last spring, Dr. Neidermyer, Director of Plant and Soil Science at Holganix, reached out to Gilson to create a Holganix test on tomatoes.